This fully photocopiable resource will provide essential materials for anyone teaching pre-entry or foundation Maths in secondary schools and further education. 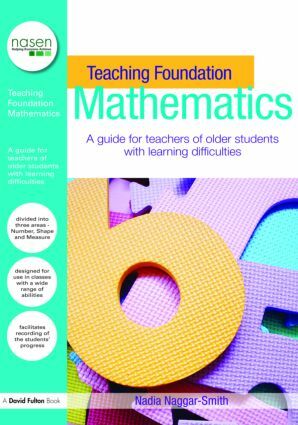 Teaching Foundation Mathematics is developed to provide age appropriate material for adult learners with moderate to severe learning difficulties and/or disabilities and for children, over twelve, with special needs. It will also prove useful to teachers training to work with these learners. Thirty ready-to-use lessons are at your fingertips in this book, complete with tutor’s notes, teaching objectives, detailed lesson plans and photocopiable worksheets, where appropriate. The lessons are divided into three areas – number, shape and measure. Lesson M4 – Which coin?